Related to Christmas we are starting from Monday 24 december 2018 to Friday 4 January 2019 closed. Merry Christmas and a good new year on behalf of our entire team! Our Koreder Line rails, suitable for surface mounting on the ceiling and the wall, applied in UNIQLO shops in Düsseldorf, Berlin, Milan etc. In Amsterdam is since 28 september an UNIQLO shop opened. UNIQLO makes and sells clothing with Japanese values-simplicity, quality and durability – beautiful and practical clothes which you can always rely on. This fits perfectly on the choice for the Koreder Line suspension system that also is produced in Japan. The rails and associated hooks/hanger sets are beautifully ethetisch (a.o. by the simplicity), are manufactured in a high quality and are produced in a sustainable manner. 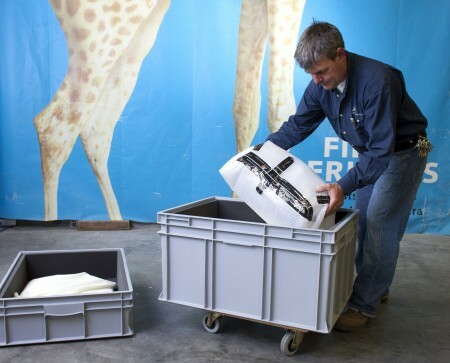 Innosell has developed a transportcontainer especially for museums, which can be used for interal- and external transport, but also for a move. The container with movable floor, to realise shock absorption, has a measurement of ± 130 x 85 x 150 cm. Different measurements are possible on request. Unique of this container is that different works of art can be fixed and transported. You can transport boxes, crates, drawings, (hanging) textile, furniture, paintings and three dimensional objects. The containers can be hired, with reservation period of 6 weeks. We are delivering repeatingly special tile crates for Museum Rotterdam. These are acid- and emission free containers which are equipped with groove-foam which allows, by using partition plates, subdividing the inside of the container. 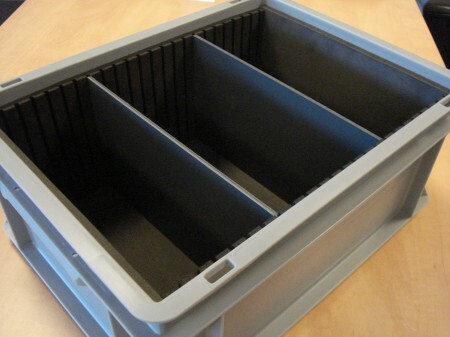 The containers can be equipped with a lid and are stackable. 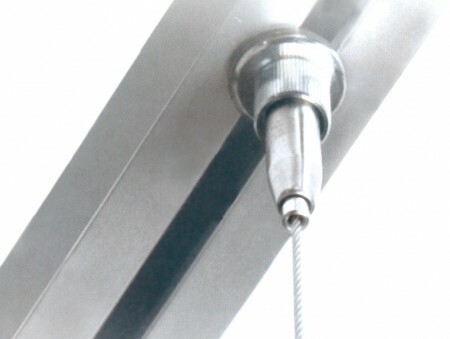 Measurements and finishing will be adapted to the requirements of our customer. We are proud to anounce that we have received the order for equiping the new storage of the’ Städtisches Museum’ in Göttingen (Germany). As from autumn the extensive collection of the museum will be stored in a.o. flat storage cabinets, cupboards and partition bar cabinets. 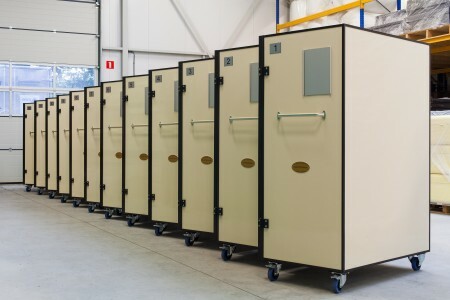 The Magista storage system is mainly characterized by the high quality and flexibility and are geared to the specific wishes of the customer. 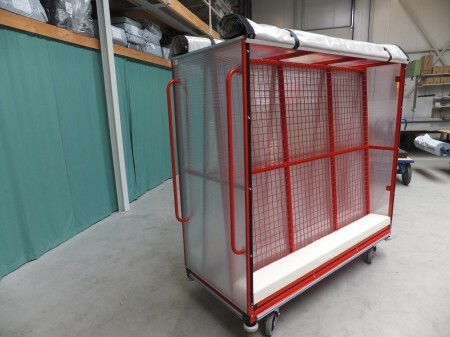 Innosell has developed a new painting cart for internal transport. 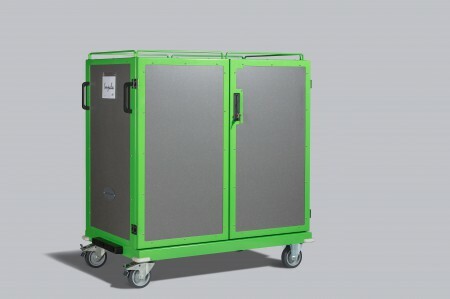 The painting cart can be locked completely, is isolated and is equiped with bouncy verende wheels. 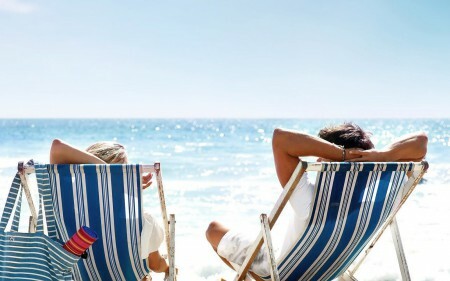 We would like to inform you that our company is closed for one week during the Summer-holidays, from 28. July up to and including 1. August 2014. During the summerperiode any possible longer delivery times have to be taken into account. We wish you a nice vacation. Innosell started a cooperation with Artguardian. 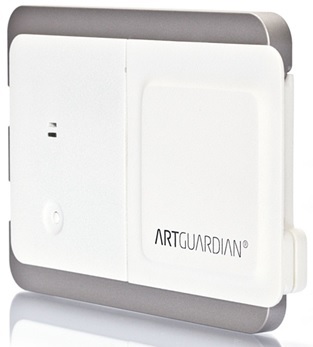 ArtGuardian is a new developed continuous microclimate monitoring system of paintings and worldwide unique. The conditions of the painting can be followd from a distance. parameters – around the clock, anywhere in the world. Data are updated at set intervals and can be securely accessed at any time. With automatic alert if any of the predefined parameters are exceeded. Perfect solution for following your lend out artworks. 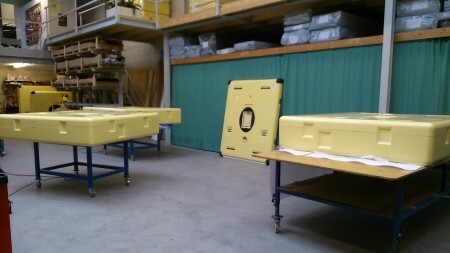 To a museum in Duisburg we deliver crates covered with foammaterial for the safe transport of glass en ceramics. The crates are among other covered with slot foam and through partition a compartment division can be made. We also supply cuschions filled with polystyrene granlulate and our MAF foammaterials. At the moment the Philips Wing of the Rijksmuseum is entirely renovated and restored. The activities are started at the end of April 2013 and will be completed after the Sommer of 2014. This week our employees have started with the mounting of the painting rails. 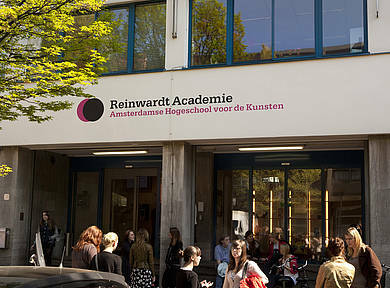 As a result of an invitation of the Reinwardt Academie (Amsterdamse Hogeschool voor de Kunsten) our director Jan Matel and our storage specialist Judith Loesman were present on March 19 as visiting lecturers. After a company presentation and a brief explanation about the different products, the students were split up in 2 groups to carry out the assignment independent of each other. The assignment was to plan and equip a new storage. .Jan Matel and Judith Loesman were able to support the students optimal owing to their expert knowledge and hope to have contribute to a professional and well-thought-out result. Wij are looking bach to a fascinating morning with enthusiastic and interested students. The new Cityhall of Almelo will be equiped with our multifunctional QuatroPlus® profile and painting hanging system. Through the Consortium of buidling companies we have received the final order for delivery and mounting of ± 500 m¹. In our production department our employees are working intense on the assembly of the Turtle boxes, among other things an order of 6 big painting crates (Turtles type C, Landscape). 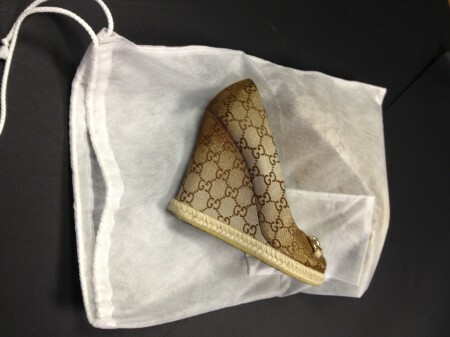 In Italy sacks, made of Artivlies, are used for storage of clothing, bags, shoes etc. 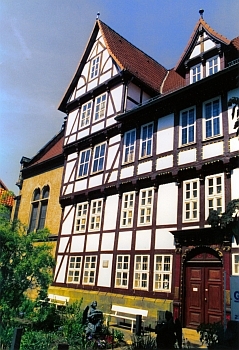 We are proud to add the Hessische Landesmuseum Darmstadt to our satisfied customers. At the beginning of february we mounted the last part of the hundrerds of m rails and the endresult is nice! We like to have accepted this challenge! CALAMITY COVER offers protection for your paintings in case of calamities. 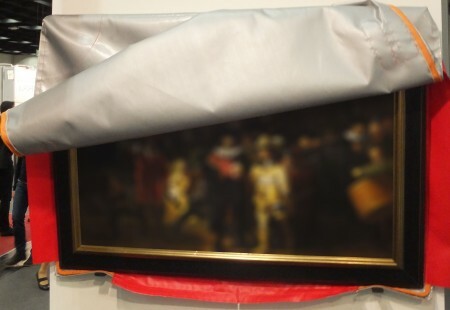 We developed the calamity cover on request of an internationally known museum for large and valuable paintings which, in case of calamities, cannot be moved in short term because of their dimensions and/or weight. The purpose is to prevent damages caused by fire, smoke, soot and water as much as possible and therefore preserve the unique artefacts. Initially we have chosen to store the cover in a box behind the painting, other solutions are also possible. 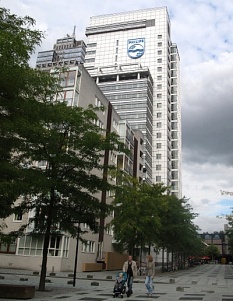 The Breitnertower in Amsterdam, the head office of Philips International, is being renovated. 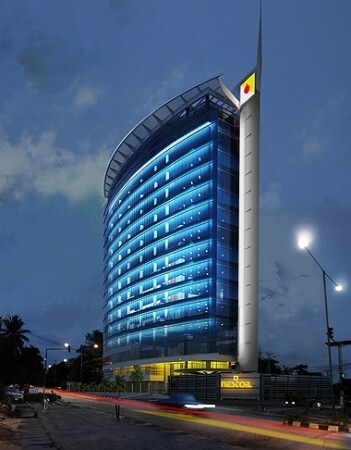 Innosell equipped for instance offices and halls in the 23 floors couting office building with our Koreder Line painting hangingsystem. The international fair for museums, preservation and cultural inheritance in Cologne (Germany). Innosell mainly presents MAF packagingmaterials, our Koreder Line painting hangingsystems, Magista storagesystems and new developments on the fair. The fair takes place from 20 till 22 November 2013. You will find us in Hall 3.2, Standnumber A 078. For a museum in Stockholm we have made client specific containers for the internal transportation of a.o. paintings. Innosell is making preparations to introduce the Koreder Line painting hanging system on the Nigerian market. In the coming week a large quantity of packaging material is being transported to Italy that among other will be used for storage of valuable properties in the Vatican in Rome. 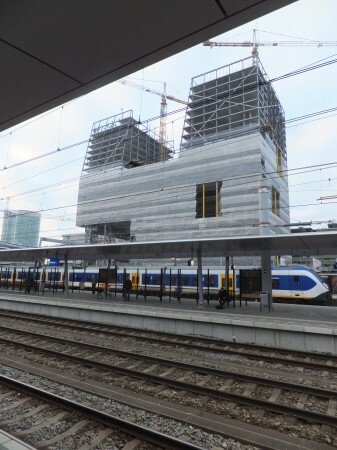 After many years of intensive cooperation Innosell has finished her activities at the new building of the Rijksmuseum Amsterdam. The last phase concerned mainly the painting hanging systems of which a part is sponsored by Innosell. 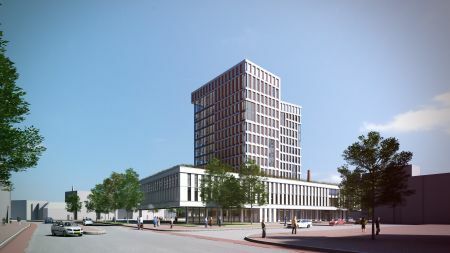 The new developed QuatroPlus® profile which is come about in cooperation with Kraaijvanger architects, will be used in the new 'Stadskantoor Utrecht' that is being build now. In the last weeks Innosell is started a cooperation with an abroad covering organization of museums which will give the export for Innosell a great boost.